This week we celebrate Valentine’s Day! As sweet as February 14th can be, it can also be a stressful experience. For many folks, Valentine’s Day brings up a ton of funky feelings, whether you’re in a relationship or not. One of the worst ways the ego takes us down in romance is by comparing our relationship status to other people’s. In the video and post below I talk all about how to let go of comparison and feel great about your relationship status right now! I also share heart-opening tips for raising your vibration so you can attract more love into your life. This is a major block when it comes to manifesting great love and beautiful romance. I want you to become mindful of how you’re comparing. When you start to get clear around what you’re comparing yourself against, understand that that’s an area of your life where you think you are lacking. If you feel like you’re lacking because you don’t have that romantic partner, my suggestion is to become extremely romantic with yourself. Take yourself on a date, give yourself a beautiful gift. Make yourself a beautiful meal, and really commit your spiritual practice. In my book Spirit Junkie, I talk about how spirit became my boyfriend. I was focused on igniting that place within me that was so inspired, so fulfilled, so supported and so excited through that relationship to my inner guidance system and through spirit. I can genuinely say as a result of building that relationship, I was able to attract the partner who is appropriate for me, the partner who is my love. That is a direct reflection of my spiritual condition. And then when you’re in a relationship, you want to make sure that spirit is still your boyfriend or girlfriend, because you want to make sure that you are maintaining that energy, and maintaining that vibe of love and self-respect and self-admiration as you enter into a partnership. 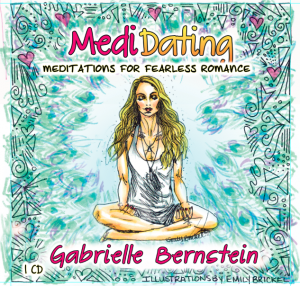 If you are ready to blast open to fearless romance, check out MediDating! This 11-track meditation album guides you to let go of romantic illusions, overcome fears and insecurities, activate your attracting power, and manifest that perfect partner into your life. MediDating is available as a CD or digital download. Get it here! I love your tip of detaching from old limiting beliefs when it comes to romance. Its so important to remember even when you are in a committed romantic relationship, these fears can creep up. Thanks for the reminder! ? I love you Gabby! Happy Valentines Day. I agree it is our relationship to spirit that sets the groundwork for all of our relationships especially our “romantic” ones. Love the idea of shifting the focus to spirit whether you’re looking for love or simply looking to improve the love you are in. My husband and I have been together for 32 yrs and he’s been in a deep, dark depression for the past 6. Thanks for the confirmation that the best way I can help him is to stay grounded in my love with God. Thank you. you got it now right? 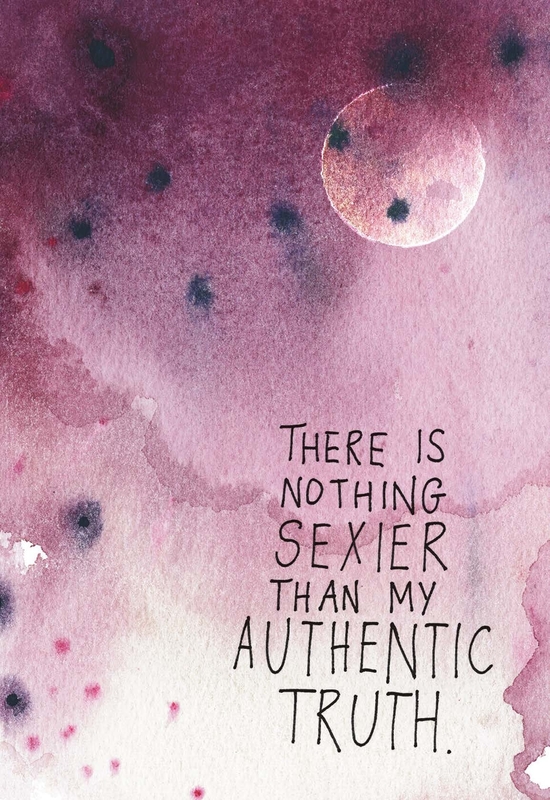 I’m in the dating scene and I just love the shift that is happening as I find such pleasure and joy in my own daily expansion while eagerly anticipating the extraordinary relationship that I’m attracting into my life. Thanks for touching on this! I believe so strongly that we attract people of the same energetic vibration as ourselves, and the more inner love work we do, the higher our vibration. It’s interesting to see how when I give more “Love Me” time to myself, my spouse will have a natural tendency to give more of himself to me as well. Both our vibrations seems to rise and we fall back in sync with each other. Loved today’s Vlog. I will be spending this V-day with my favorite Valentine, myself. I couldn’t be happier about it. I know my love is out there and when the time is right, we will find each other. But until that time, I am working on loving myself and manifesting the best me I can be so that when the time is right, I will be ready for the right guy. Thanks Gabby, for all the great messages. happy love month to you too! Love this segment. You are a great inspiration! Today is day 1 for me. Where do I buy the meditation album and is there something that I can preview before to see what it is like. Thanks for the tips, Gabby! Super fitting as I just started the relationship week in “May Cause Miracles.” Your words have been helping me so much, in facing my fears and igniting what I already have within. I’m especially looking forward to digging deeper into my relationship, as I’m in a wonderful loving relationship with my boyfriend of 2+ years. Sometimes I take things from past toxic relationships like thinking I’m not good enough or that I’m doing something “wrong” (which I know aren’t true and are based on fear) & I KNOW these meditations/affirmations are going to help me! I randomly picked up your ” add more ~ing” book a few years ago and have since become hooked on all of the energy your thoughts and experiences bring about. I`m currently reading ” May cause miracles,” and I just want to pass along how much I am enjoying it. You have such a talent! I experience this a lot internally as well as from my sister. We’re so close in age and personality yet our relationship styles are so different. I have to tell myself I’m happy that both of us have found such a unique love fit for each of us. thanks for this…you sum it up so well. MediDating: love it! Sending this to my single friends! Besides the Universe knows… if we are together we would be making babies, and we should be focused. I loved the reminder to not compare us to other couples. Hi Gabby, I’ve just started watching your videos last night & I’m so grateful to God that I have! I wonder why I haven’t watched them earlier, because pretty sure I had been coming across your links in my spiritual wanderings online for the past year. Now I can’t wait to listen to your other longer vids and learn more :). I’m posting under this particular vid because I wonder if there’s a talk from you somewhere about having friends who insist on comparing, especially married friends who treat single friends like they are sorry for them and they are not equal anymore. I have a couple of friends that I’ve known for more than 20yrs. We had lots of fun when we were younger, but since they’ve been married over a decade ago, the regard had never been quite the same. And of course I can understand that about them being moms and all. I am even the godmother of their eldest kids who I am fond of. But then comparison about me not having what they are having, especially from one of them, always creeps in from time to time. Years ago I observed and theorized that women who do that are the ones who have so much wanting from their marriages. Added to that the incessant compulsion of some to compete in every way, which I’m totally not a big subscriber of. I have actually tried asking them what they think about people who do it without sounding off like they are being attacked. But their standpoint is the only standpoint they know and want for the rest of their lives, it seems. I usually say what I really mean. But I chose to give it up to preserve our friendships. It makes me sad that it always comes across like we can no longer be grown up girls just hanging out anymore. That obviously created distance as we found different groups to be with as the years went. Moreso that I’ve learned to believe that I should only be with people who make me feel good about being myself, since life is just too short to insist otherwise. But still, I wonder if there’s a better way to deal with this than just ignore on most times that these married women are among my long time friends. Thanks so much, for your insights, Gabby. I’ve just seen your awe-inspiring part in the awesomeness fest. And I’ll be watching your SuperSoulSunday guesting tonight. I really excited about what I will hear. You are truly a gift. Just recently, the bald with a stranger voice has another love interest and still a Latina lady. and come up with effective solutions to help get rid of them. You will find the Playette almost everywhere as this type is the most common and most difficult to crack. I would love to purchase the medidating mp3 album or cd but unfortunately this is not possible at amazon.de of amazon.com as I live in the Netherlands. There are restrictions ons buying this from the Netherlands; Amazon music is not available in the Netherlands. Is there Ny other way I can purchase it? Hi Stefanie! Please write to my amazing support team at support@gabbybernstein.com and they can help you out with options. Sending big hugs your way!